Born and raised in Burlington’s “South End”, Dee Blanchard Goldsborough has been a licensed REALTOR since 2013. Her prior work experience includes sales and marketing and 9 years in residential mortgage financing. 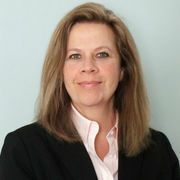 Dee has lived and worked in Boston, Minneapolis and Los Angeles returning home to the Burlington area in 2001. Patience, honesty and listening to a client’s needs are at the foundation of Dee’s business as well as a great deal of enthusiasm for the unique quality of life that Vermont has to offer. Dee and her husband are passionate about Lake Champlain conservation and are active members of the St. Albans Area Watershed Association. Dee spends summers in St. Albans Bay and winters in South Burlington. In her free time she enjoys music, sailing, gardening and renovating old houses.